If the US dollar loses its status as the world’s premier reserve currency, it will likely be the tipping point at which the US government becomes sufficiently desperate to implement official restrictions on the movement of people and their money, as well as nationalization of retirement savings, and other forms of overt wealth confiscation. It’s probably not going to happen tomorrow, but it’s clear the direction the bankrupt governments of the US and most of the West are headed. Once the dollar loses its status as the world’s premier currency, your options to take proactive action will likely have significantly narrowed, if not removed altogether. Hence the premium on taking action before that happens. 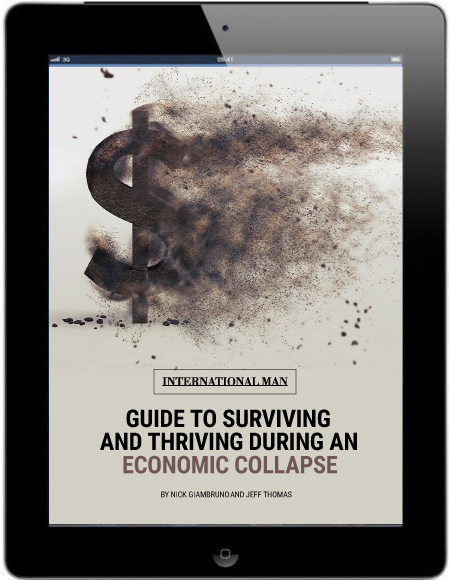 Get this free special report now and learn how to survive and thrive during an economic collapse.